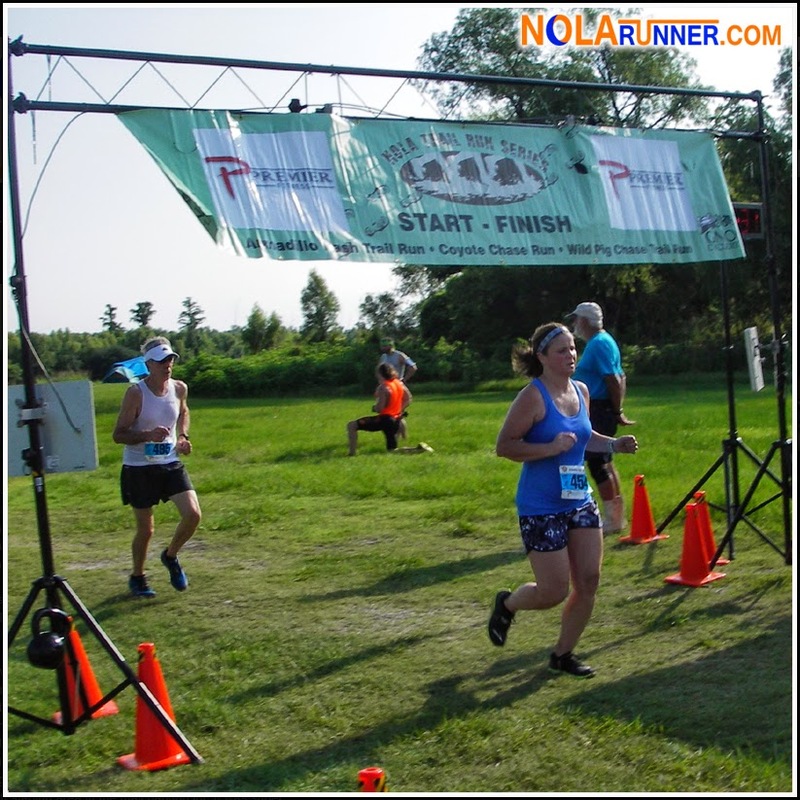 For those of you keeping score, we're now two down and one to go in the New Orleans Trail Run Series. Participants in Saturday morning's Armadillo Dash visited the Bonnet Carre Spillway to tackle the the twists and turns of the wooded peninsula that separates the spillway from Lake Pontchartrain. With so much concrete in our urban community, there's plenty of first time trail participants at this series of events. Everyone was very relaxed and casual pre-Armadillo Dash, which is a nice way for newbies to be introduced to trail running. Multiple pre-race announcements warned runners about the tight turns on-course; however, the race director let us know that we would have the advantage of dry ground for sure footing. The weather, while warm and muggy, had stayed dry and made it a great day to run! 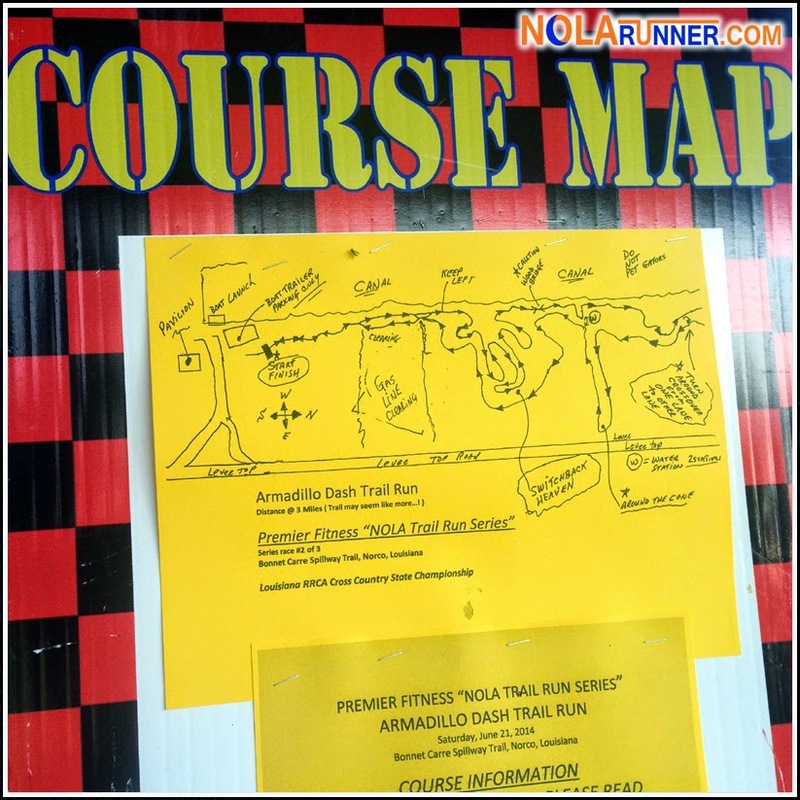 This course, unlike the other spillway race later in the summer, is run entirely on trails. It's been a year since I ran here, and I had forgotten how tough the terrain really is. The first quarter mile is rather flat and easy, but that quickly changes with the introduction of numerous mounds and dips in elevation. The other difficult elements are the sharp turns and switchbacks that runners encounter on their way to covering roughly three miles. These jolts are rough on the legs, and slowed down my pace considerably. Fortunately, there were two water stops on the course, and they provided stopping points to recharge at each of the mile splits. I didn't stick around long after the race, mainly because I was ready to cool off and get some coffee in my system. I grabbed my finisher koozie, waited for my friend Anne to cross the line, and we were out of there pretty quickly. Had I stayed for the post-race awards, I would have been able to see RRCA medals bestowed on top finishers. The Armadillo Dash was the official Louisiana Cross Country State Championship Race for 2014. This is a "back to basics" event series. Runners get to experience racing in its simplest form, with no frills and only the necessities provided. Yes, you get a participant shirt and awards are presented, but don't expect a huge after party like other race series. I appreciate this approach and the race directors who put on events with low registration fees, making my comment not a need for improvement, but an FYI for those who may consider a trail run in the future. 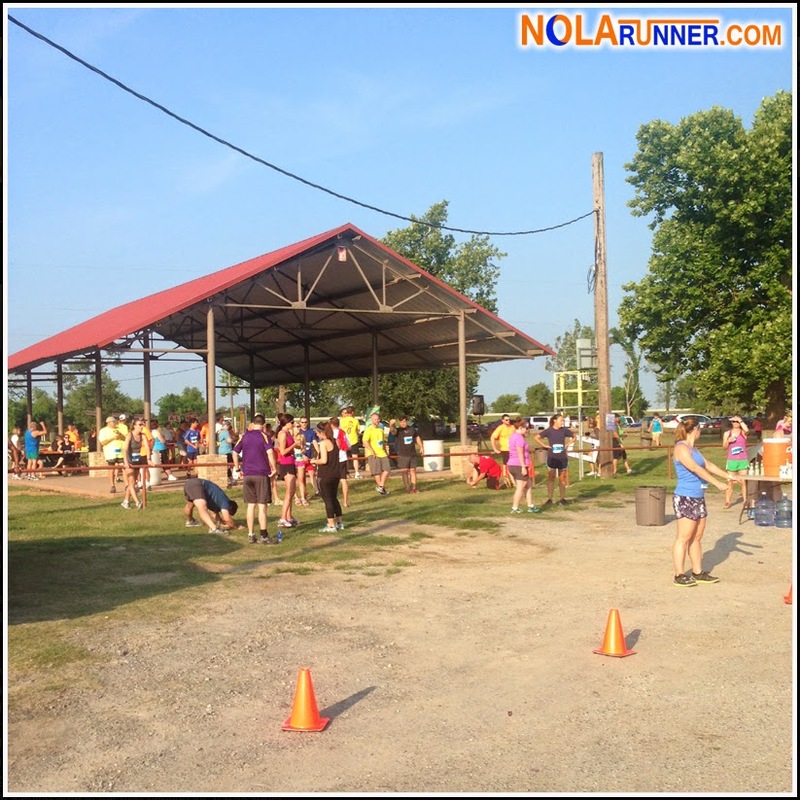 The final race in the NOLA Trail Run Series is this Saturday in City Park. It's the shortest race in the group, but last year it was my favorite. I'm looking forward to the early morning two miles through a deserted golf course, and hope that the weather stays as favorable as it has been throughout June. It's not too late to participate in the Coyote Chase Trail Run on Saturday. Registration info is HERE. For official race results from the Armadillo Dash Trail Run, click HERE. Check out the photos from the Armadillo Dash Trail Run in the gallery below. If you can't see the gallery, Like the NOLArunner Facebook page HERE.